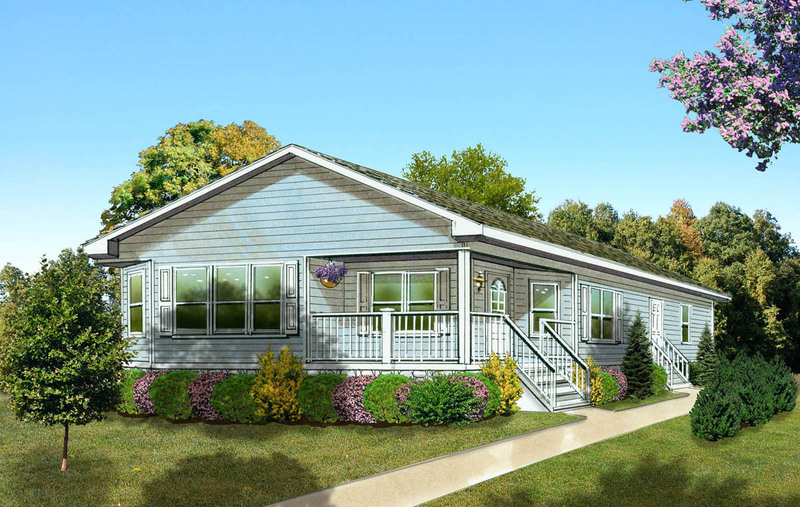 The Evergreen model is a two bedroom, two bathroom manufactured home and can be customized and have upgraded features. Take a look at the floor plan of this model home. The living room is open and inviting with large windows. 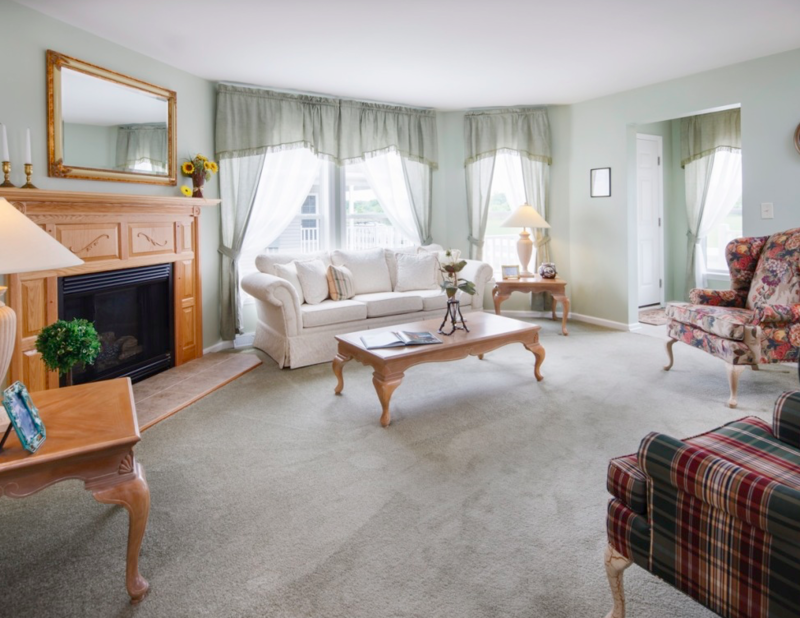 And you’ll enjoy a perfect setting in the morning room right off the kitchen. Now that’s convenient! These features are just the beginning of what you will find in this beautiful home. 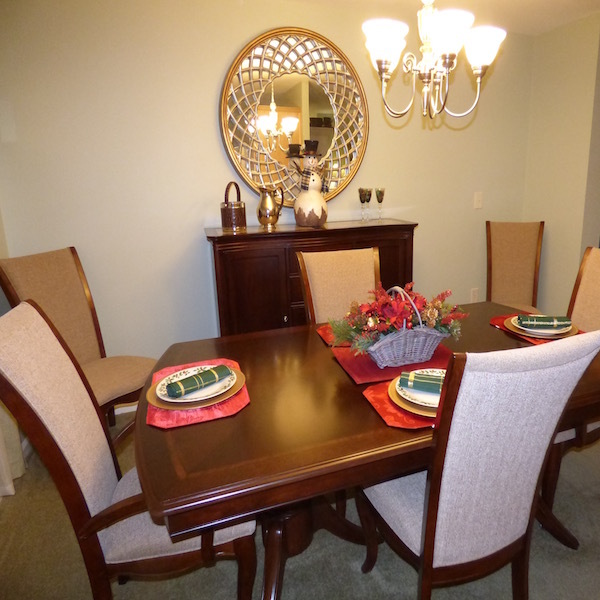 The floorplan and features can be further customized with changes or upgrades. 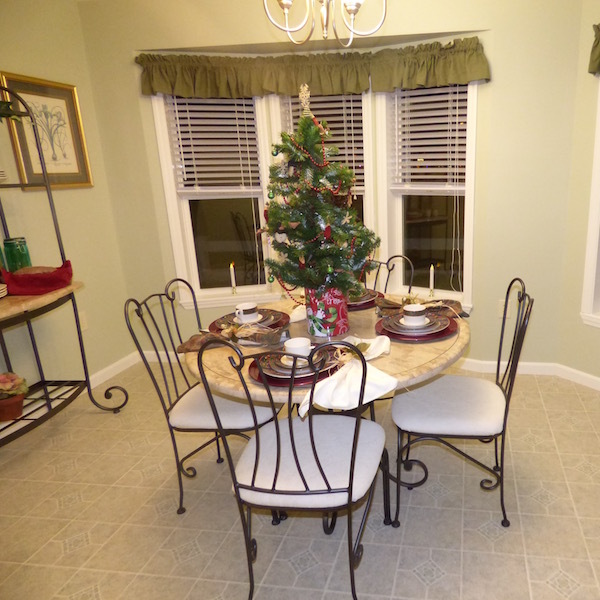 We have a decorated Evergreen model for you to tour. 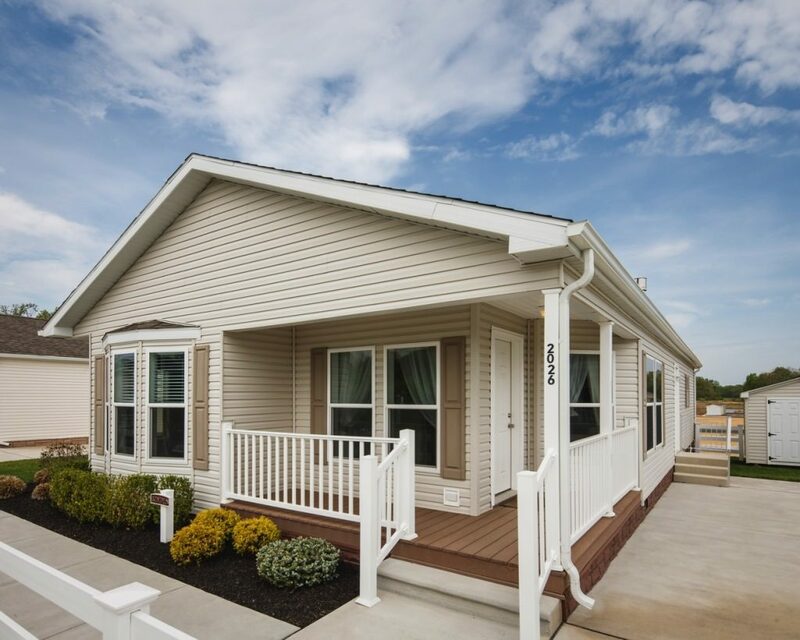 Decorated model manufactured home at Summerfields West. The exterior has a beautiful bow window and a delightful porch. The morning room lets the sunlight filter in the bow window. 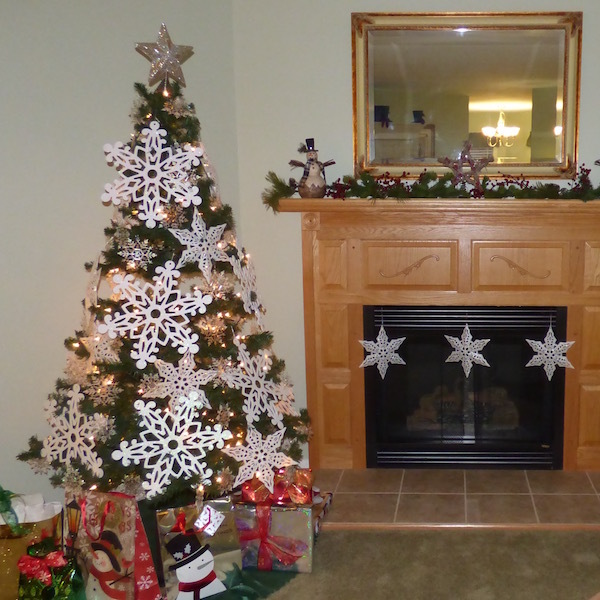 The Evergreen model decorated for Christmas. 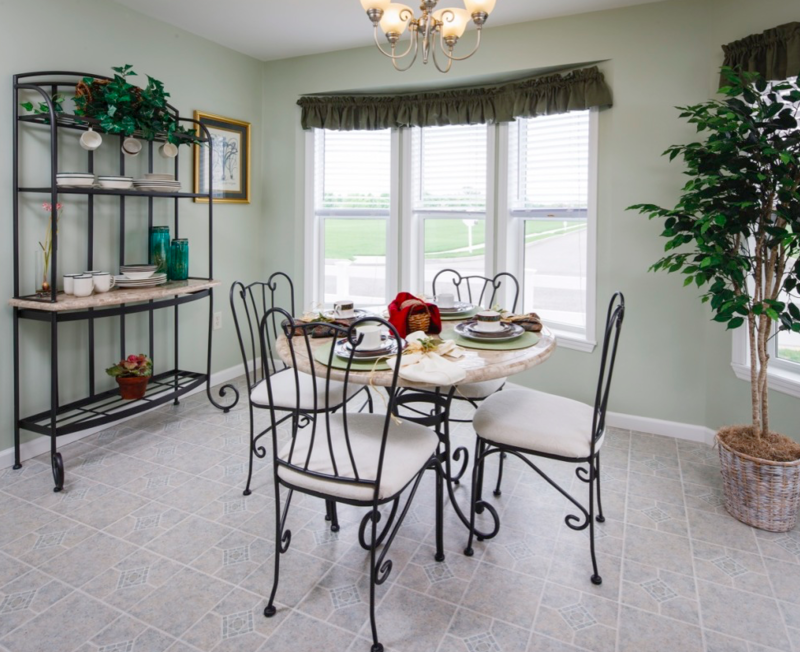 Contact us to visit Summerfields West 55+ community and tour our Model Homes.